I was recently in Colorado on business. On my way, the drive to the MSP airport was very stressful. I left the house before 7:30am for a 9:30am flight to Denver but traffic was rough. Most people don’t realize Minnesota traffic is almost as bad as New York or Los Angeles traffic and the bottom line is that it’s terrible! A normal drive this time of the day should be less than an hour, but that morning it took me 90 minutes! Once I finally arrived at the airport, the main terminal parking was full! On a Tuesday? Even though I was running behind, I was forced to drive to terminal two and take the train over to terminal one. After entering a slow line through security and a brisk walk through the terminal, I finally made it to the plane! I was the last one to enter and shortly there after the door closed and we were on our way. Fortunately, the flight to Denver was uneventful and I was able to relax and read my wine making book, which helped me de-stress. On the drive to Boulder, I received a call discussing a new Bills Wine Wandering opportunity from France. 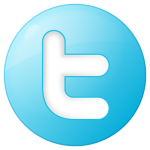 All I can say is that I am excited and the details will be shared in the future. My work day was pretty uneventful. I was able to get things done but the following day was to be full, including dinner scheduled with our customer. I left the office but before the day was to end, I had to sit in on another meeting with people in Singapore. I needed to fit in a small workout before the meeting and wanted to buy a bottle of wine for dinner. I knew I was not going to finish the entire bottle, but figured it’s more reasonable and better tasting then buying a glass or two at the hotel or restaurant. I wandered to the local liquor store and walked about reading many wine labels. I wandered into the local Twin Peaks liquor store not really knowing what I wanted. Would it be a California, Italian or French wine? Was the varietal important? Well, after browsing for that perfect wine, I chose a California wine from a label I hadn’t known. I honestly chose this label based on the wine rating label by the bottle. This bottle was rated 90 points by Wine Cru. 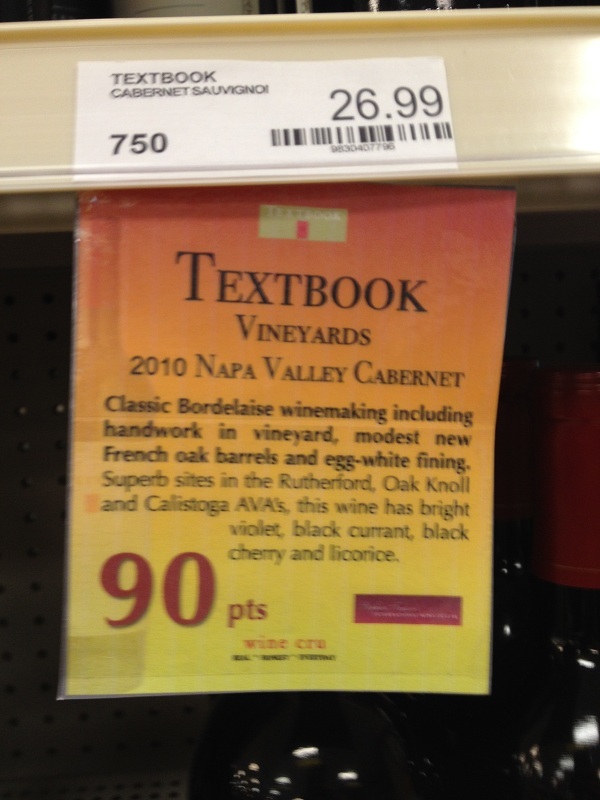 I did not notice the wine had a 2010 rating even though the shelf had 2011. Watch for that! 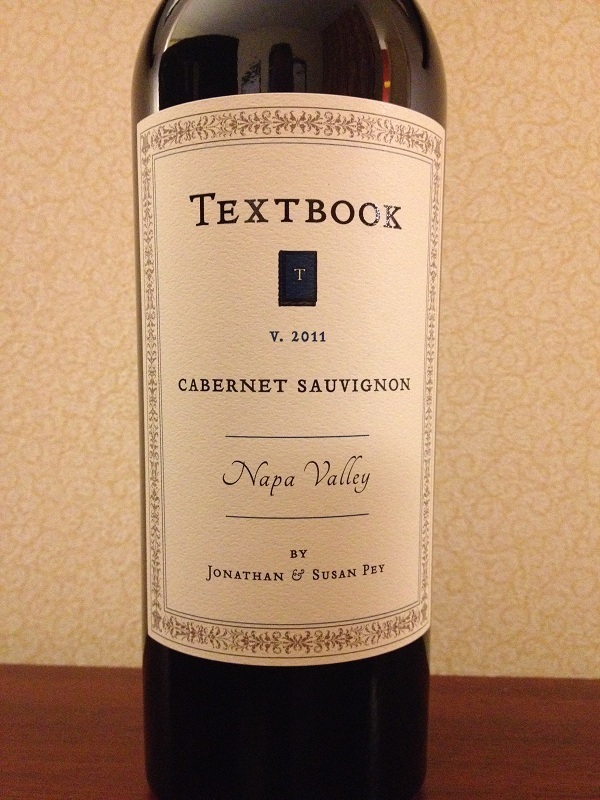 I chose a new label called 2011 TEXTBOOK Cabernet Sauvignon. Deep color depth with a nice dark garnet hue. Very aromatic and young. Sweet black cherry, dark chocolate, and oak. The Cabernet was full-bodied. The tannins were soft and slightly acidic. I could feel the acidity in the top of my stomach with tannins felt on both sides of my palate. It had a medium finish and I tasted cherry and licorice. 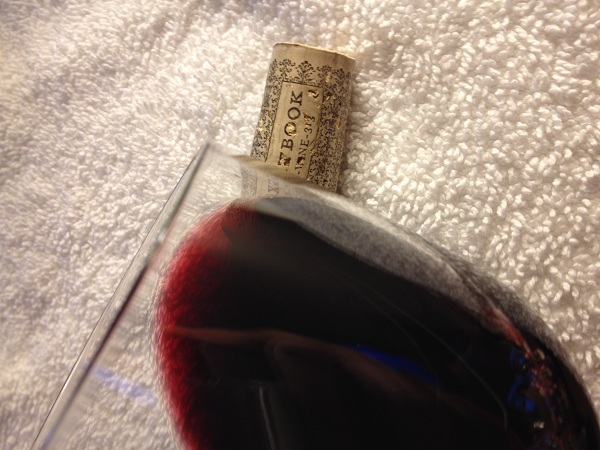 Initially I rated the 2011 TEXTBOOK Cabernet Sauvignon two glasses. However, the wine developed over time as it was exposed to oxygen in the glass. I also enjoyed the Textbook Cabernet Sauvignon with my meal. My final review is three glasses. Sometimes it pays to wander through a local liquor store and read the wine ratings.